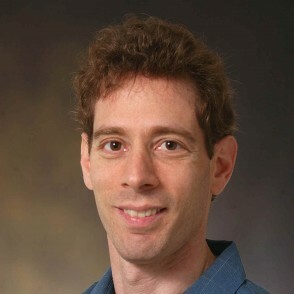 Dr. Holtzer is an assistant professor of psychology at the Ferkauf Graduate School of Psychology and of Neurology at the Albert Einstein College of Medicine of Yeshiva University. He holds an MA and a Ph.D. degree from the State University of New York at Binghamton. Dr. Holtzer completed his internship training in clinical psychology at the Rusk Institute of New York University. He also completed a T-32 post-doctoral fellowship in neuropsychology and cognition in aging at the cognitive neuroscience division of the Sergievsky Center of Columbia University Medical Center. He is licensed as a psychologist in New York State. Dr. Holtzer’s primary research interest is in cognitive aging and in the interplay between cognition, mood and motor function vis-à-vis aging and age-related diseases. Specifically, his most recently funded research proposes a three-level theory-driven approach to integrating clinical neuropsychology, cognitive neurosciences, and genetics to explore mechanisms of motor aging. The long-term goal of this translational research is to identify specific modifiable mechanisms pertinent to developing more efficient risk assessment and intervention programs of motor impairments such as decline in gait and falls in aging. Dr. Holtzer has a specific interest in attention and executive control processes and their relations to other cognitive functions, emotions and functional outcomes. His team’s recent work has identified informative associations between executive control of working memory and fatigue in Multiple Sclerosis. They aim to further explore this relationship and extend it to aging as well.